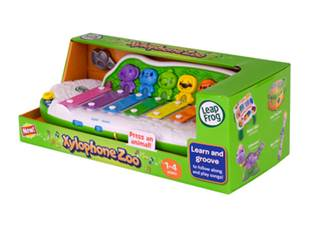 With the new LeapFrog Learn & Groove Xylophone Zoo you can discover xylophone's in a whole new way. There are six adorable zoo friends to help your children learn about colours, animals and music. It's lots of fun! There are three fun games to get your little ones interested in this cute little musical instrument. They can play a game where the follow the lights to play a song. Repeat musical sequences after they have been played or even just play their own. 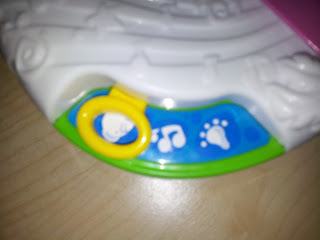 They can also press the animals to combine other fun sounds with their melodies. Parents can also connect to the online LeapFrog Learning Path for customised learning insights and ideas on how to expand their child's learning. 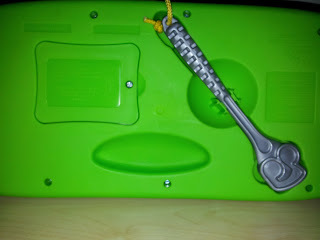 This toy is made age appropriate for children between 1 and 4 years. Ryan is 20 months old so he's roughly in the middle of the recommended age limits. 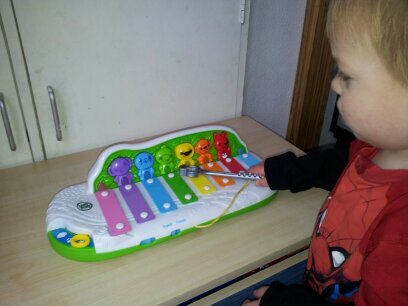 He enjoys playing with the xylophone but his idea of playing is bashing the keys with the stick. Luckily this toy is quite robust and can with stand his heavy little hands. He likes the bright colours and the cute little animals but the features are still a little old for him. His sister Lily on the other hand loves playing the tunes, she sits there following the lights and playing the little songs for ages. So it's quite a good toy to have in your house if you have children of different ages as each age can get something different from playing with it. It has 3 modes of play which can be controlled with the little ring shaped piece on the left hand side, you simply push it across until it circles the game you want to play. It's very easy to change the games over, the children can quite easily do it themselves. Also at the front there is an on/off switch and a volume control option where there are two settings which allow you to have the sounds on low or loud. This is a great feature as it gives the parents a little control of how much they want to listen to, or not in some cases. Next to this there is a Language control switch, you can have your toy speaking in English or French. This is fantastic as it really brings learning to a whole new level. 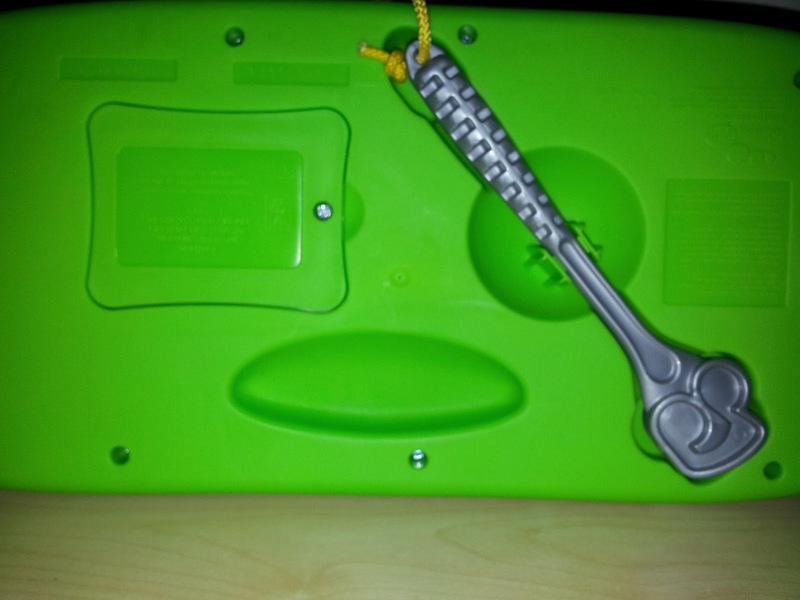 Another thing I really liked about this toy is the cut out at the back, there is a space for the drum stick to fit in nicely when the toy is not being played with so that it fits aways nice and tidy without anything hanging off or getting dragged about. We are huge fans of LeapFrog here at Mummy Of 3 Diaries as there's nothing better than a toy that can teach your child as they play. We own quite a few of their products and this one is ranked very highly on our list. It's a great quality toy, well made and looks great. It does so many things and can really help your child to progress in their learning without them even realising that they are doing so. The Learn & Groove Xylophone Zoo costs just £19.99 which is a real bargain for what you are getting. We give this a big thumbs up and will continue to enjoy playing with it for a while to come I'm sure. You can check out LeapFrog online for stockists and lots of other great products. 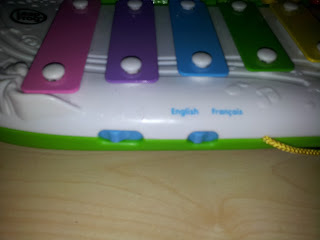 We were given our Learn & Groove Xylophone Zoo for free for the purpose of this review but this review is my own and all the views and opinions expressed are genuinely mine.